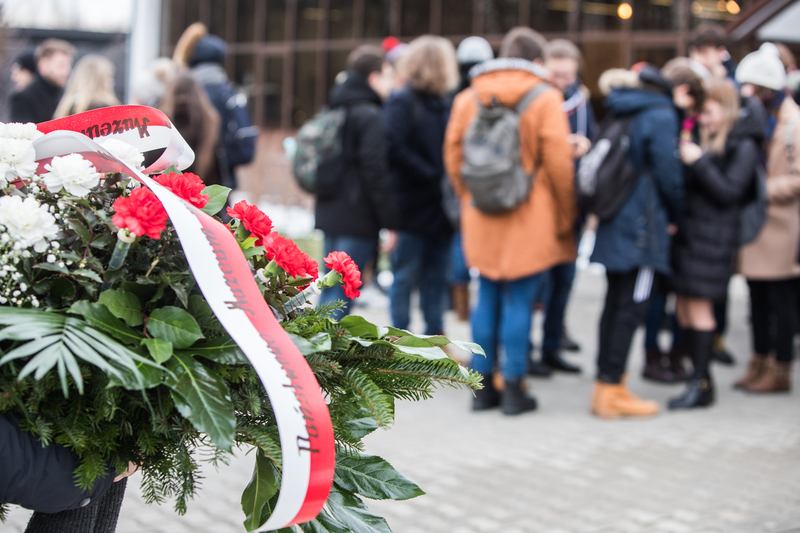 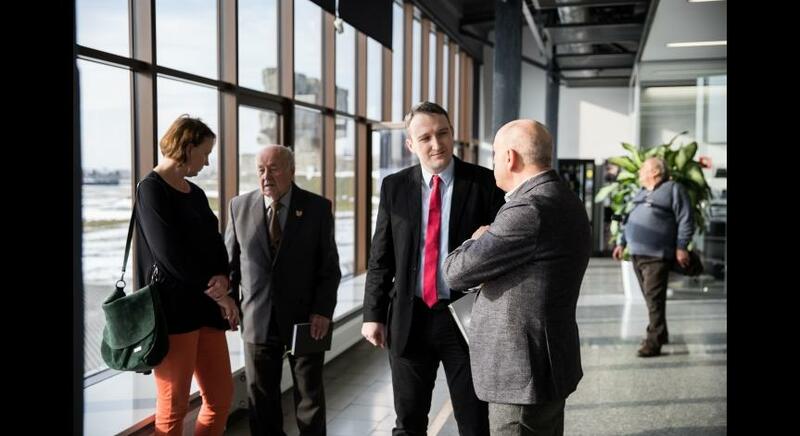 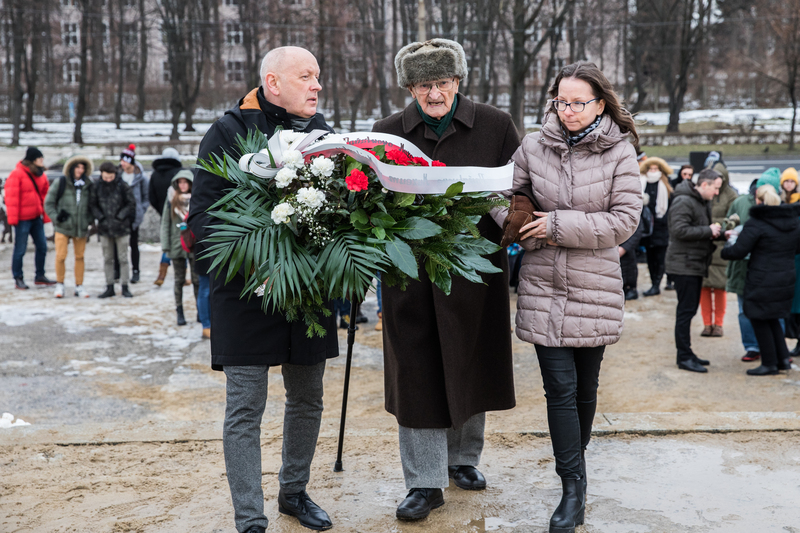 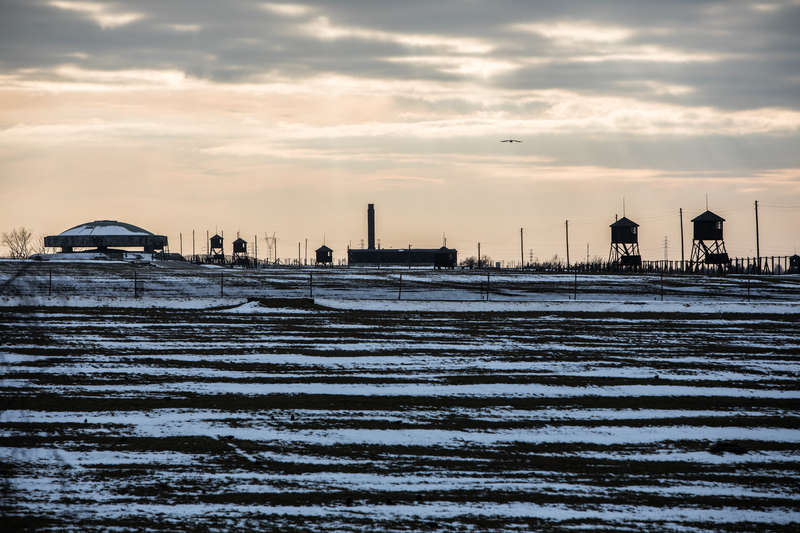 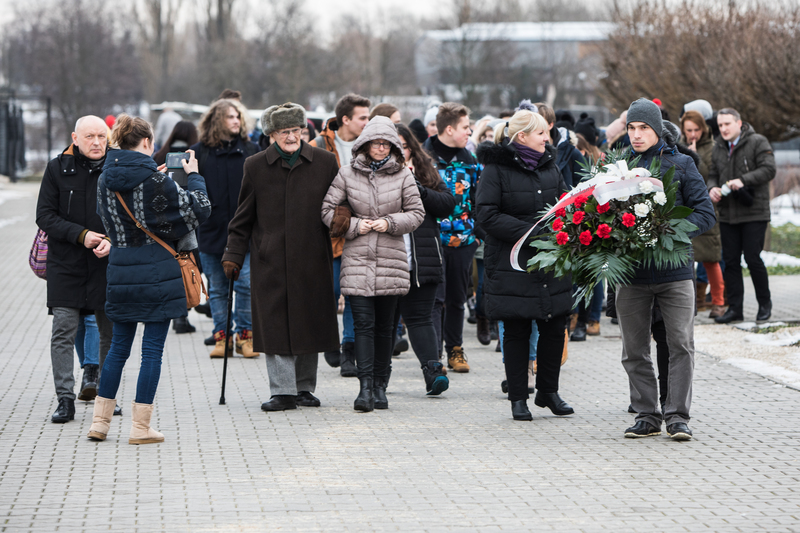 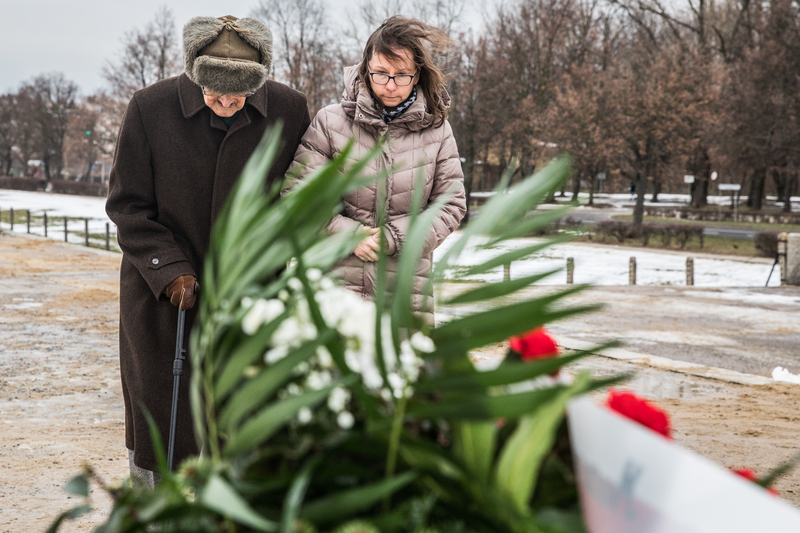 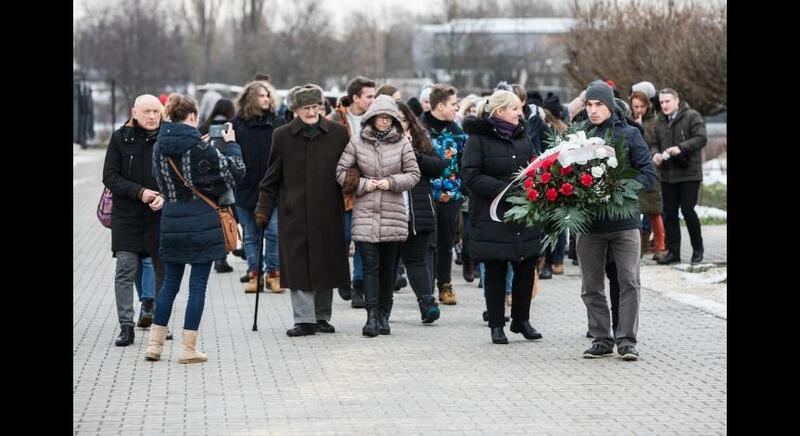 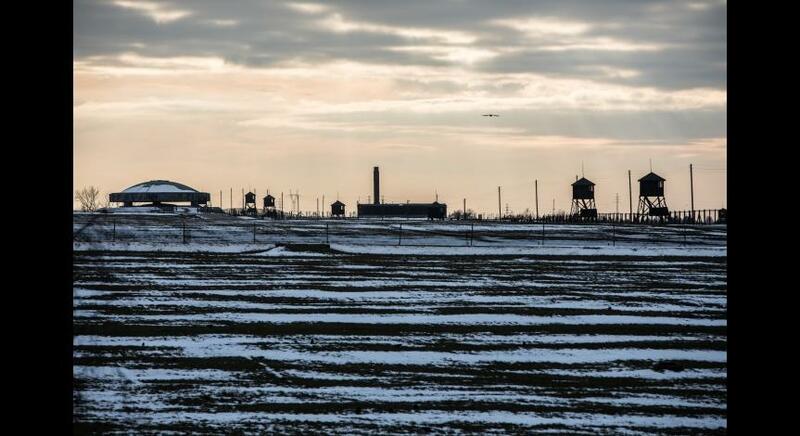 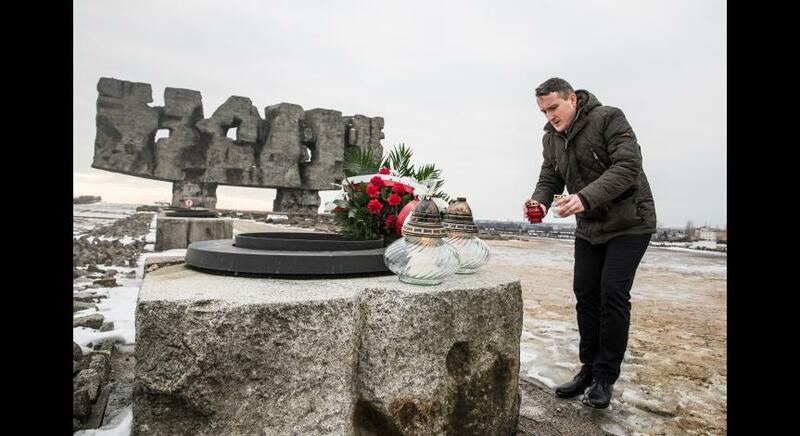 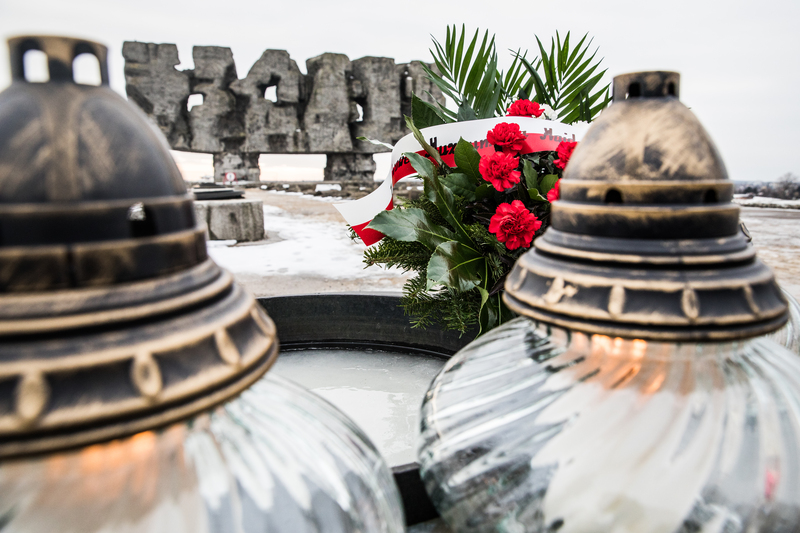 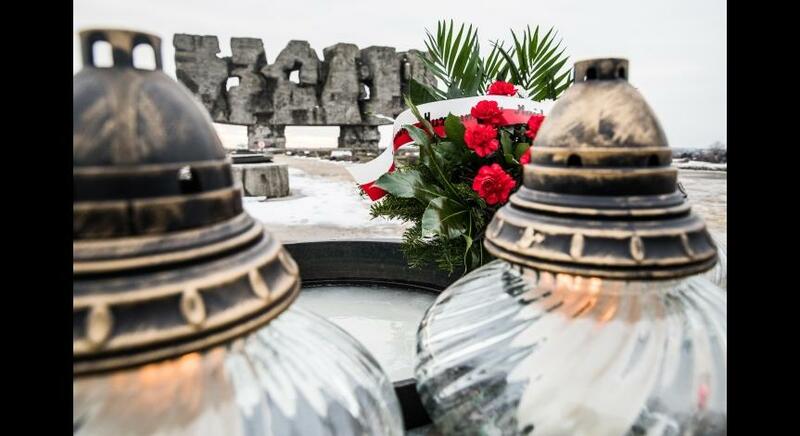 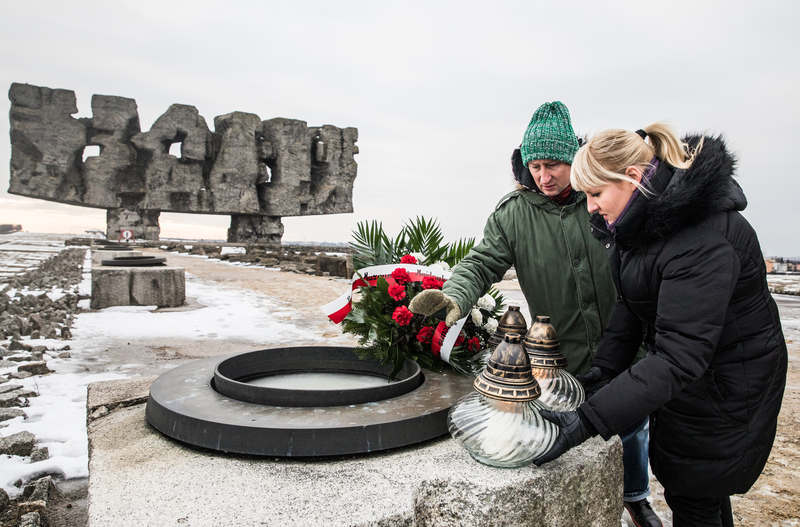 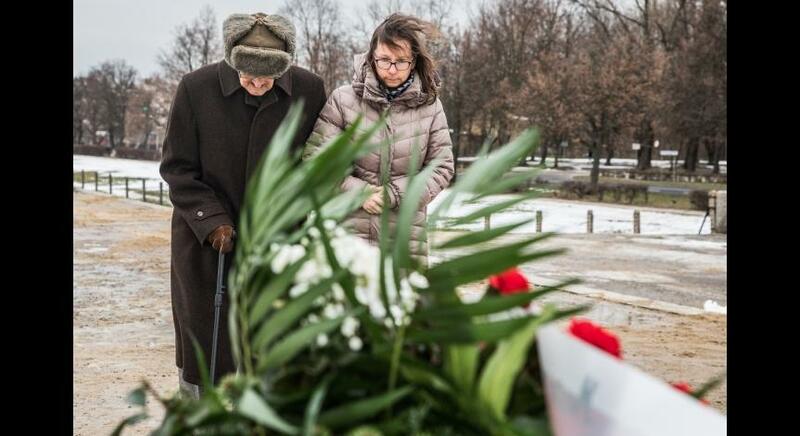 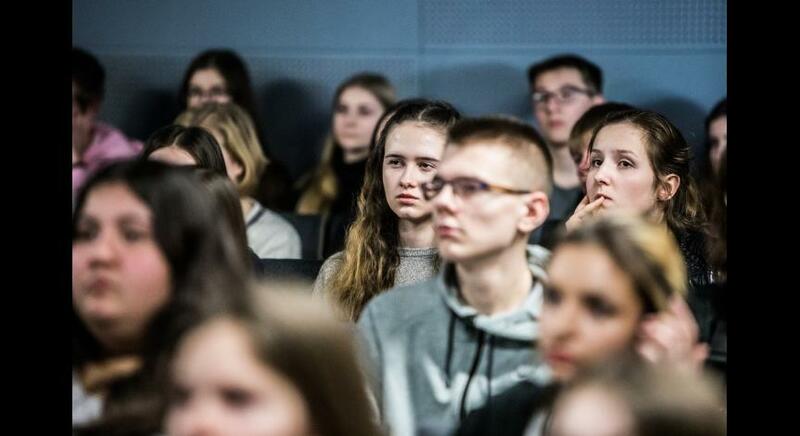 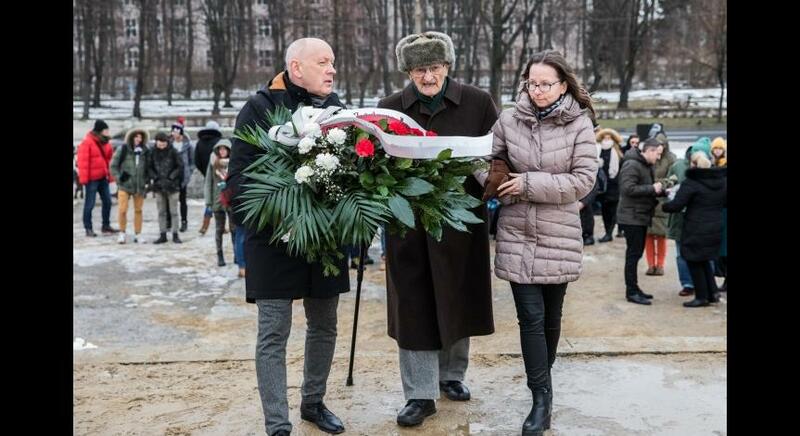 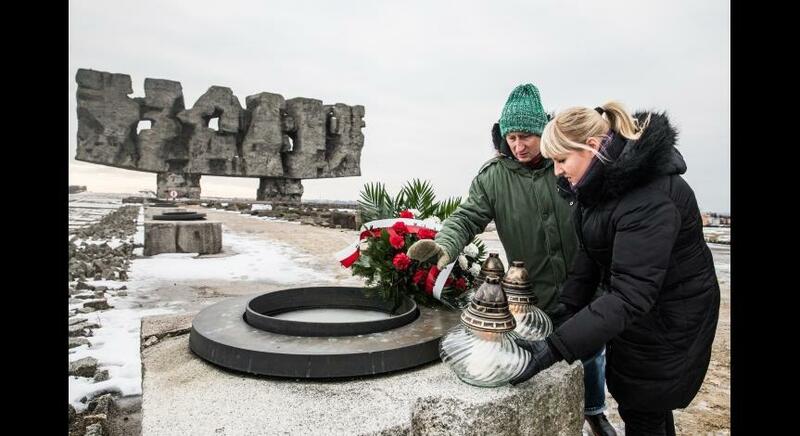 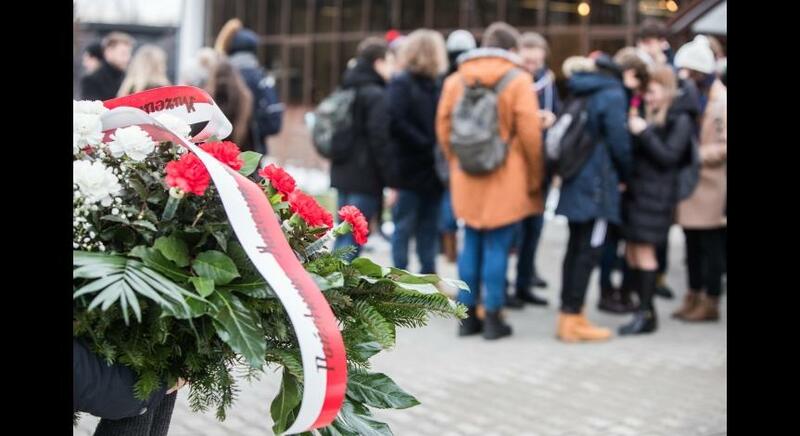 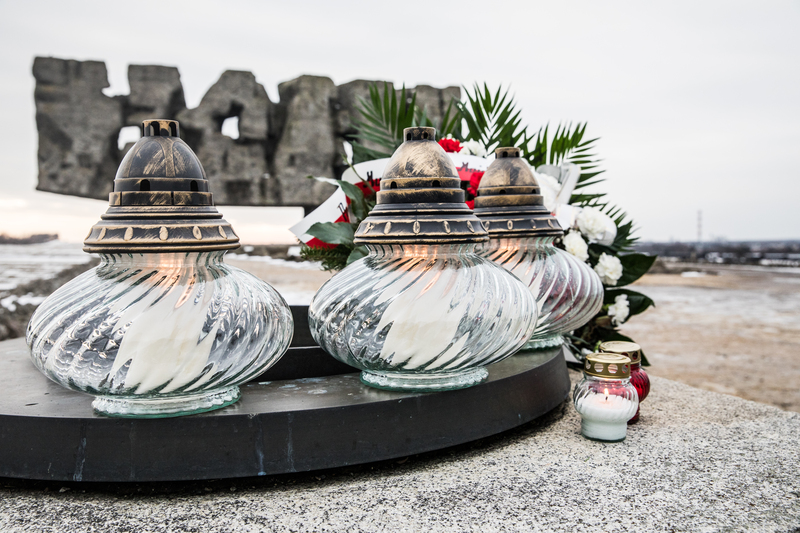 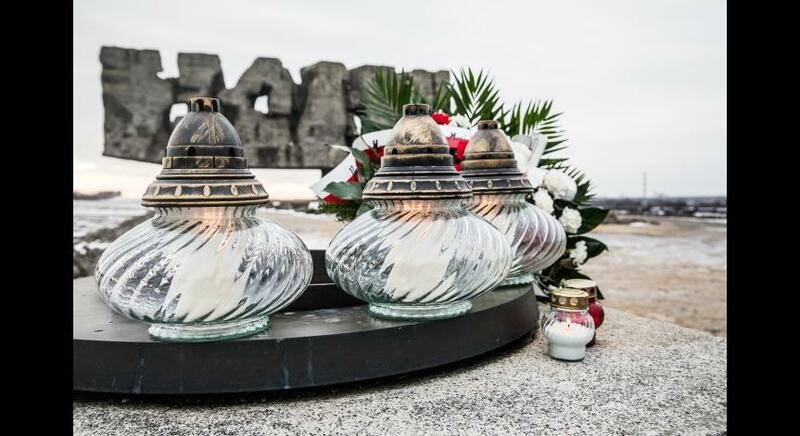 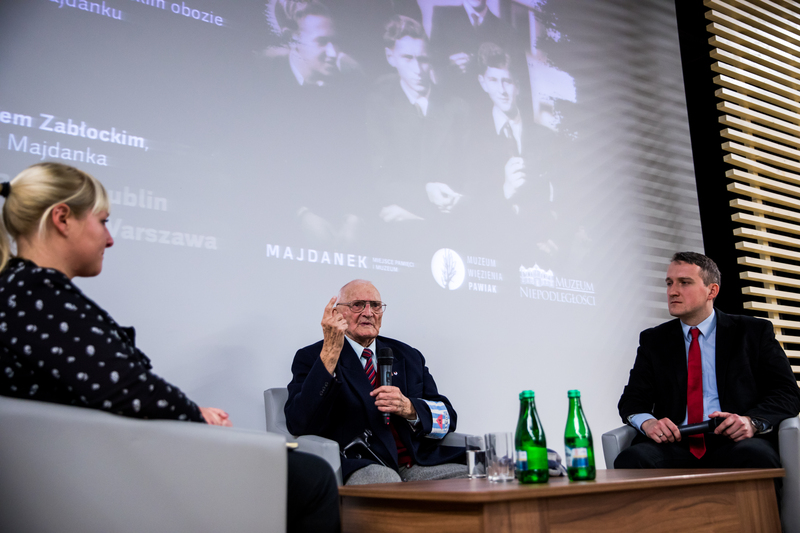 On January 17, 2019, it has been 76 years since the first transport of Polish political prisoners departed from Pawiak to the concentration camp in Lublin. 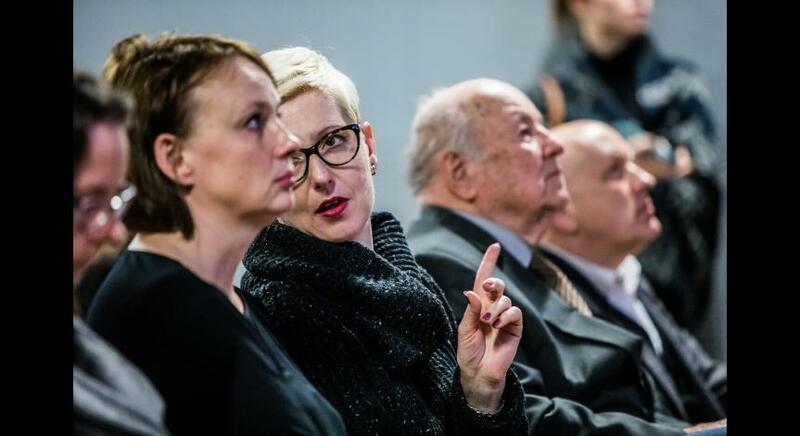 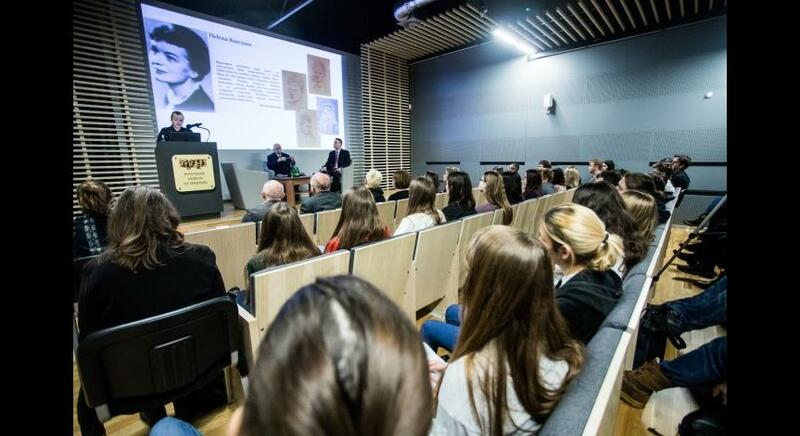 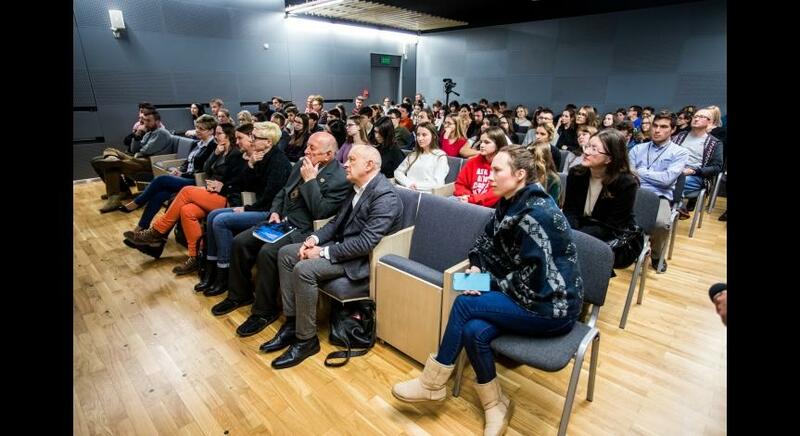 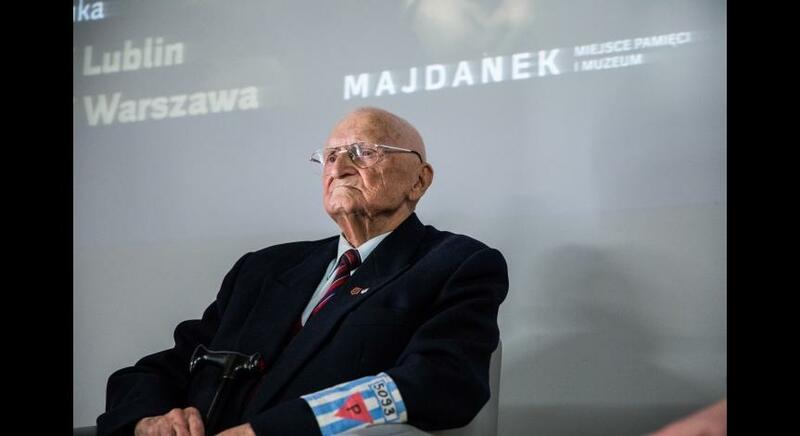 On that occasion the State Museum at Majdanek organized a meeting called ‘Playmates. 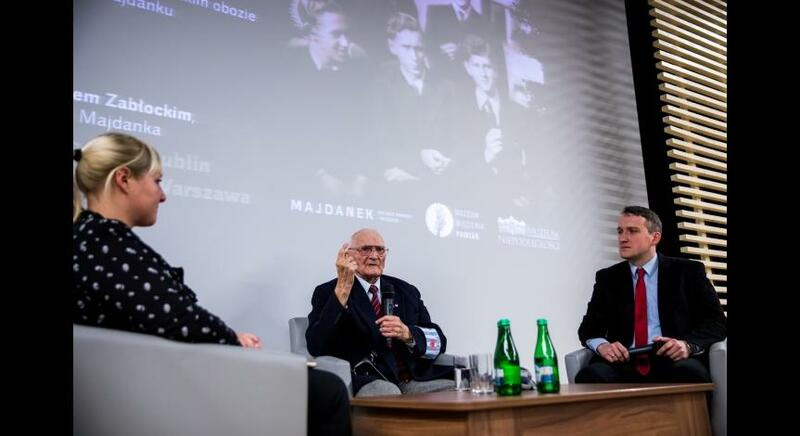 ‘Jola’, ‘Marysia’ and ‘Rudy’ in Gestapo prison in Pawiak and in German concentration camp at Majdanek’, in which Pawiak prisoner and prisoner of German camps Leszek Zabłocki nicknamed ‘Jola’ participated. 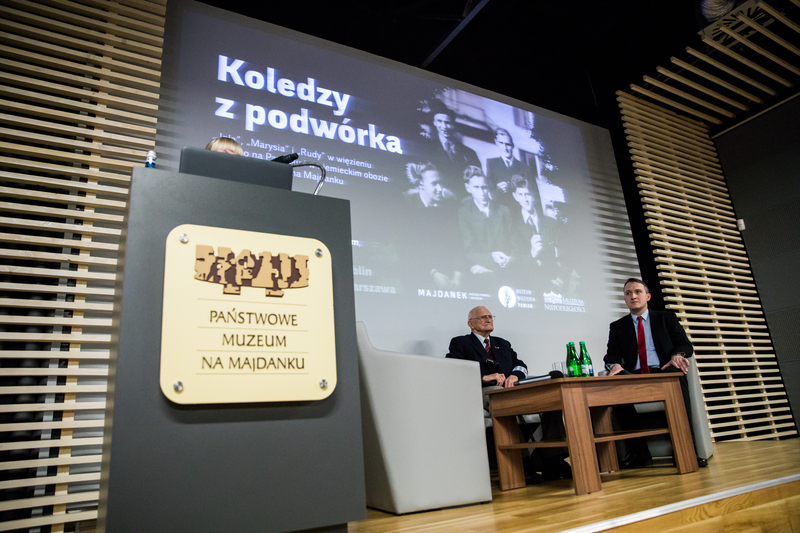 The meeting started with the presentation by Robert Hasselbusch, who works in the Museum of Pawiak Prison. 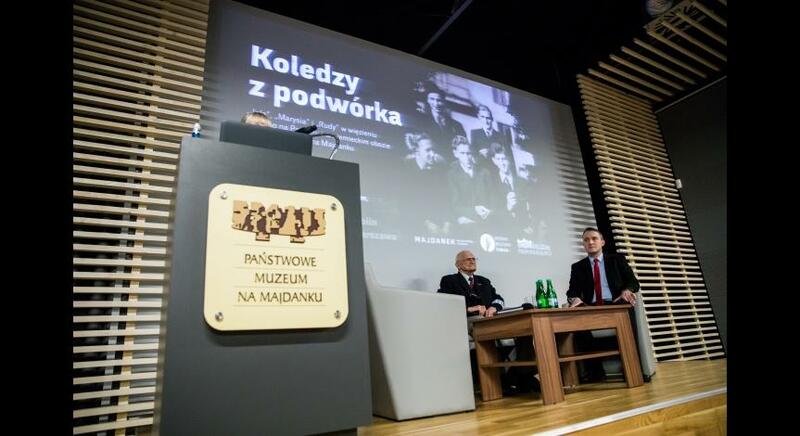 His speech concerned functioning of the Gestapo prison in Pawiak in Warsaw in the years 1939-1944. 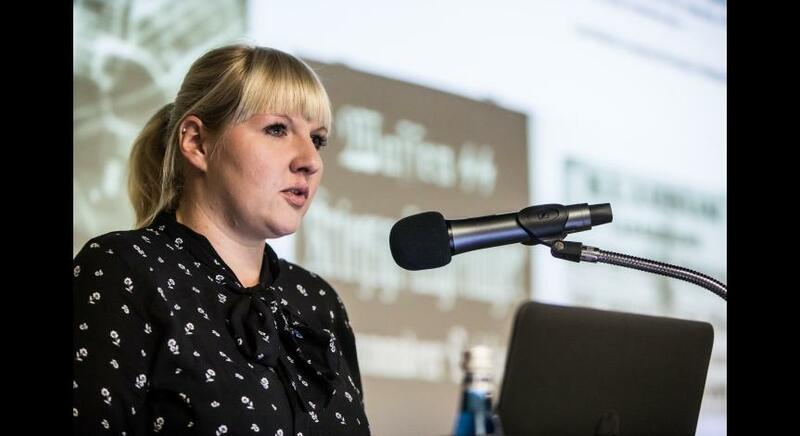 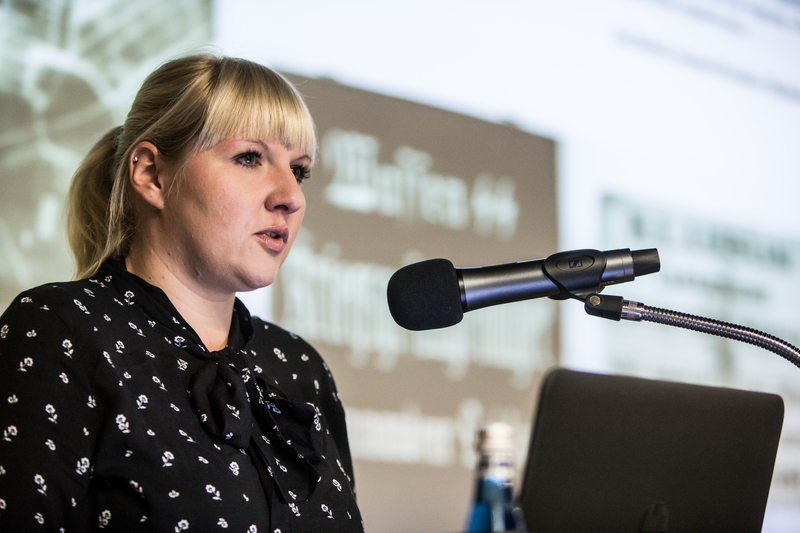 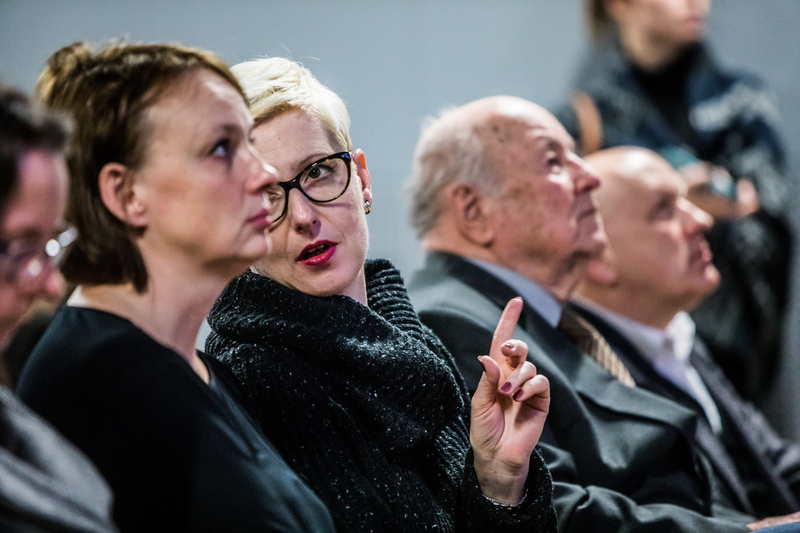 Then, Anna Wójtowicz from the State Museum at Majdanek told about transports from Pawiak to the concentration camp in Lublin and introduced profiles of selected prisoners. 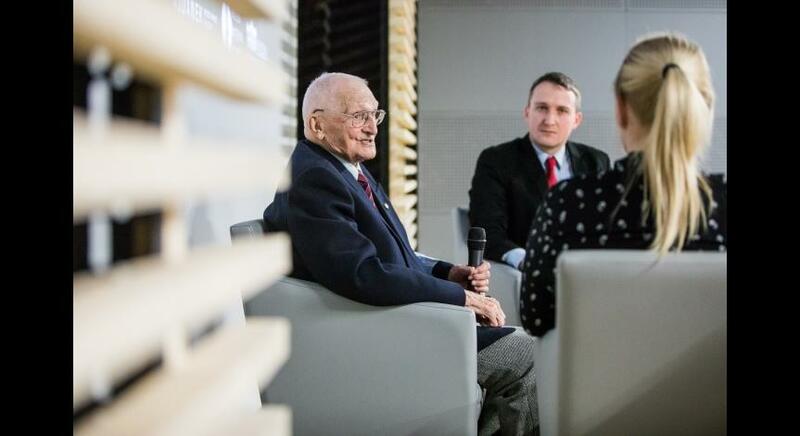 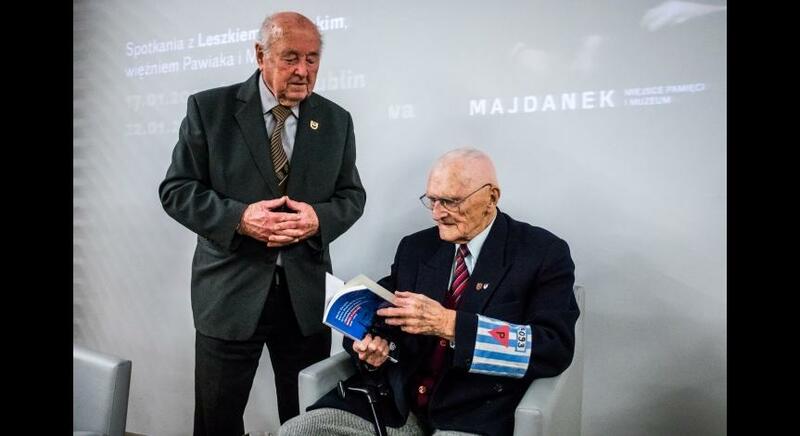 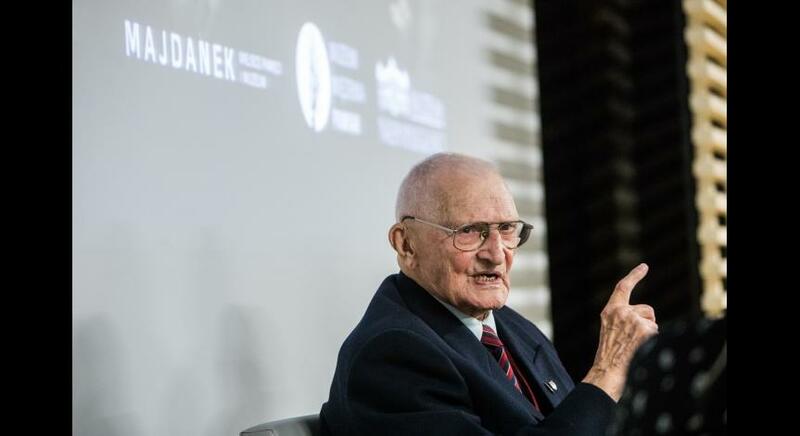 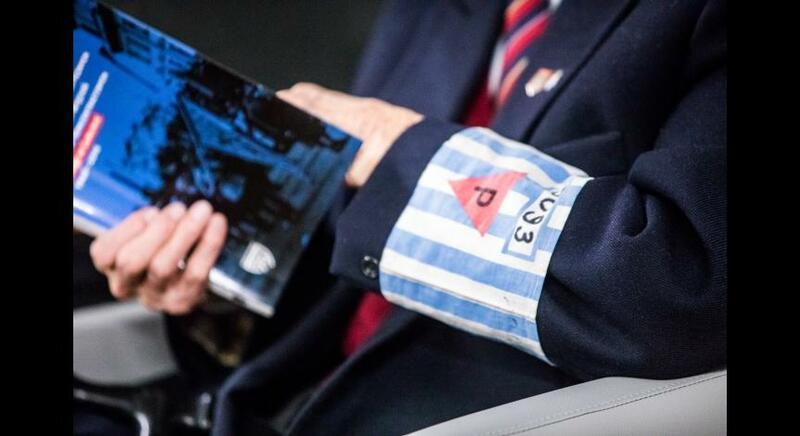 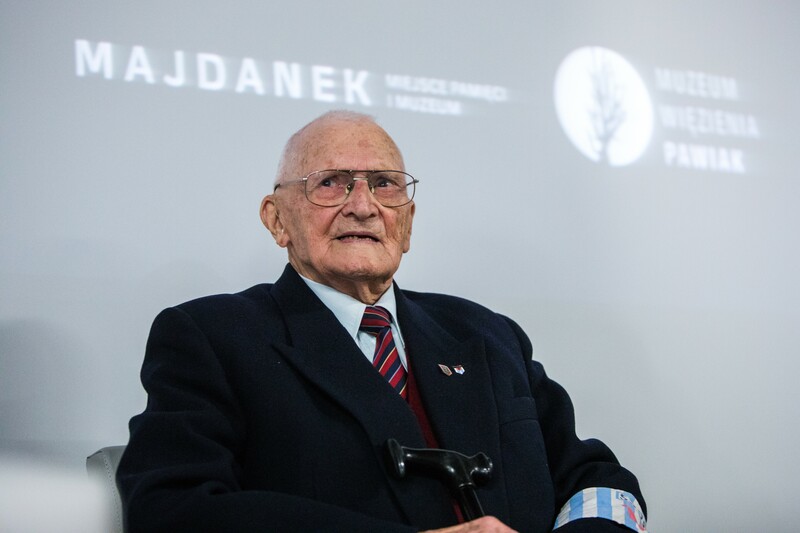 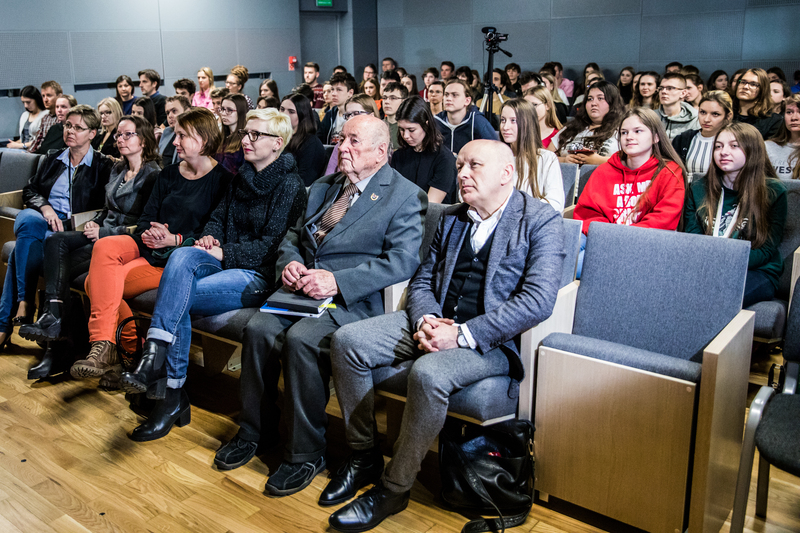 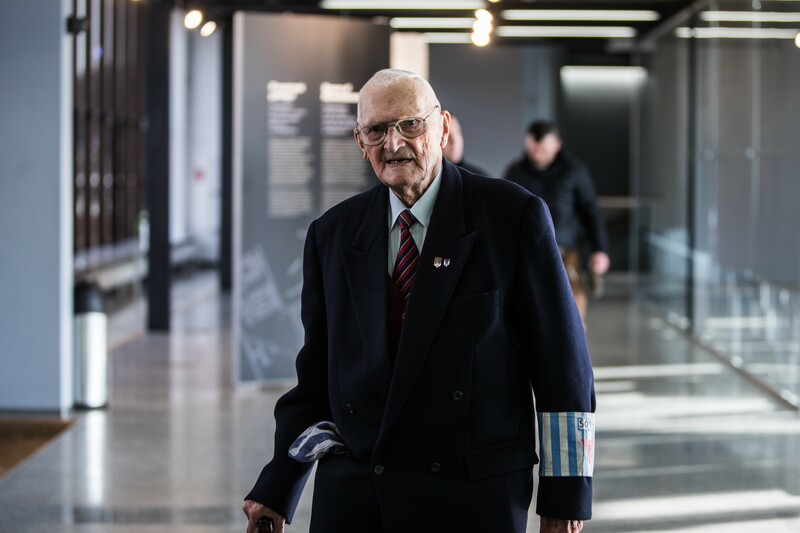 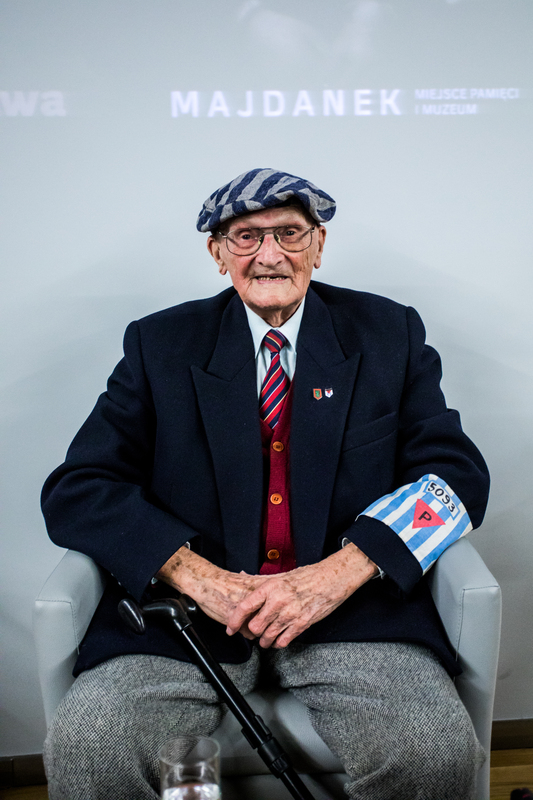 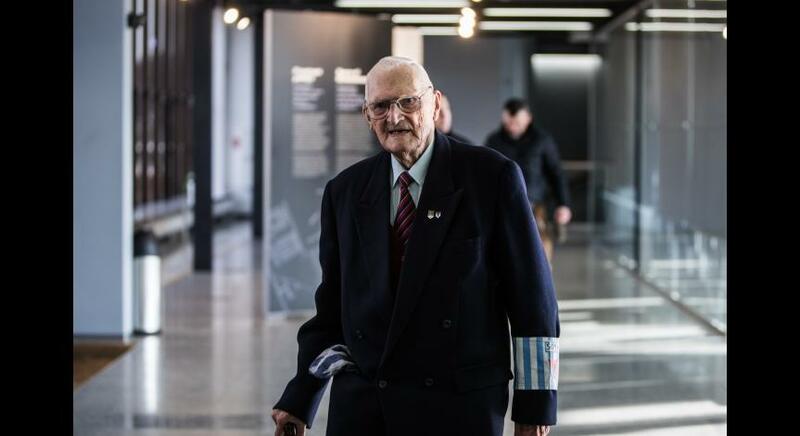 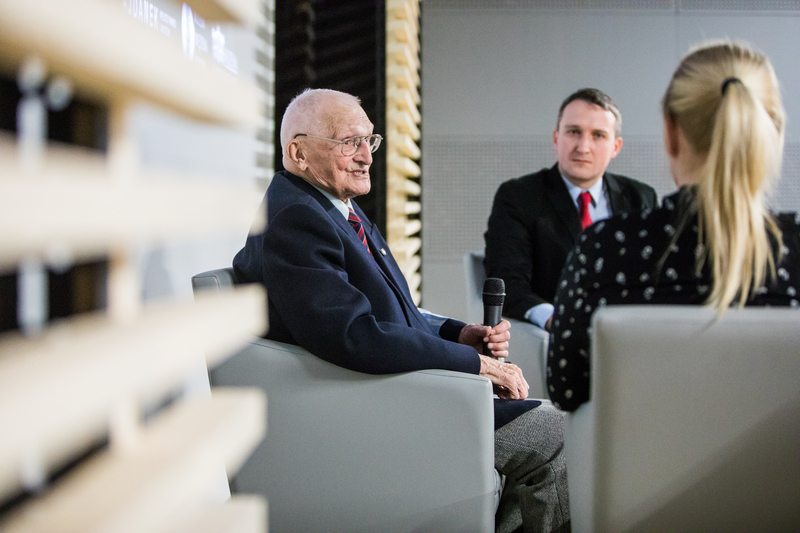 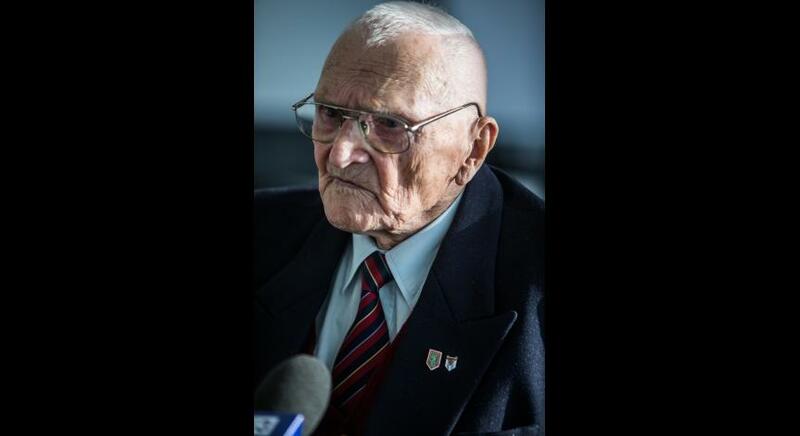 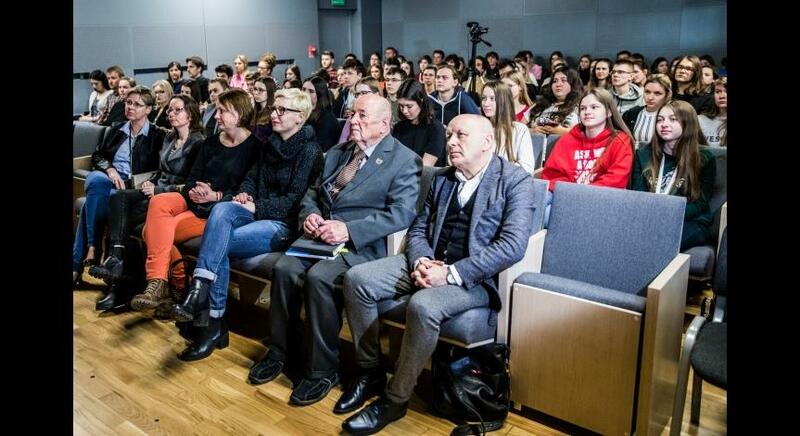 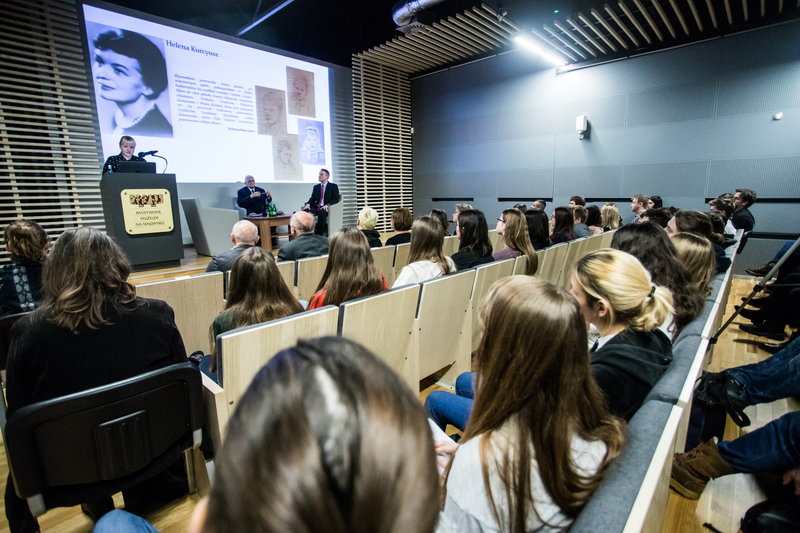 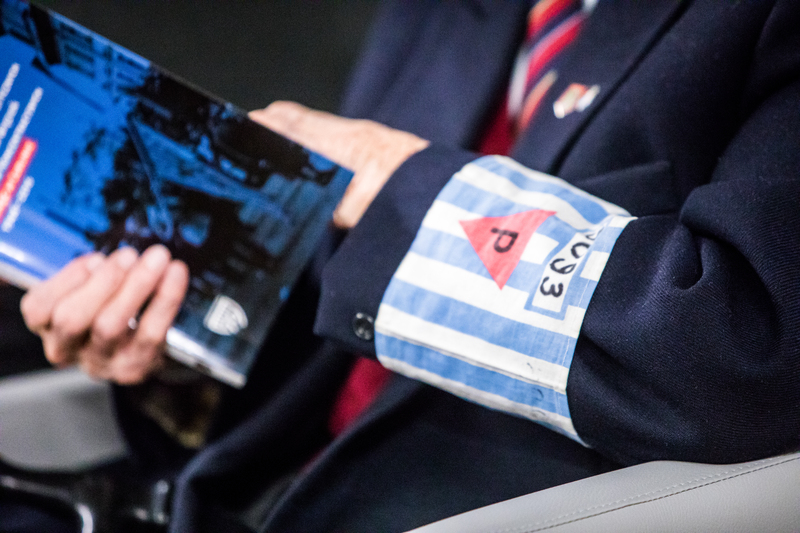 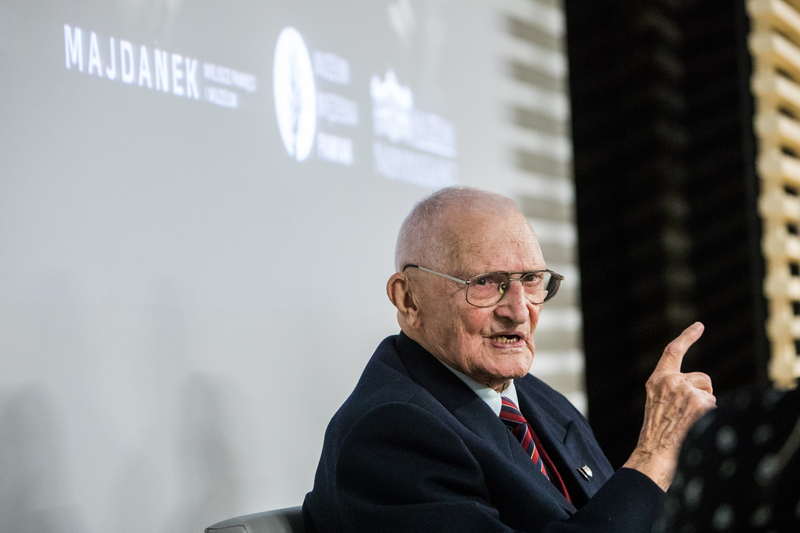 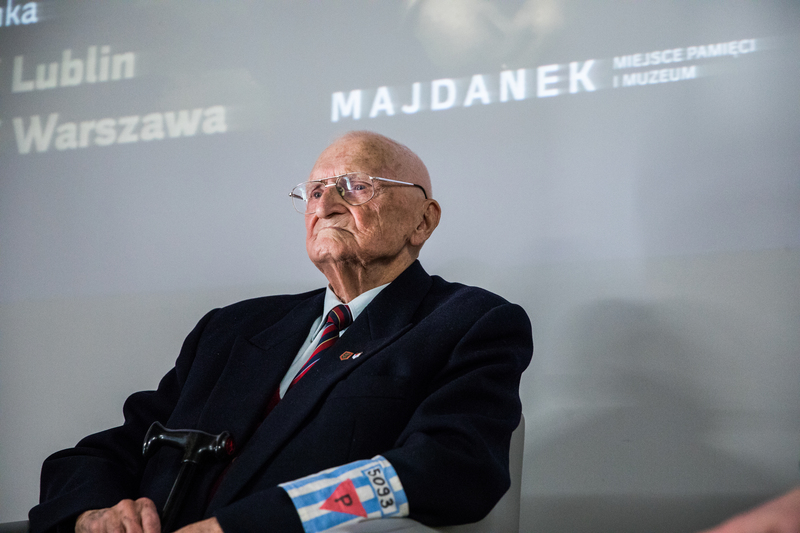 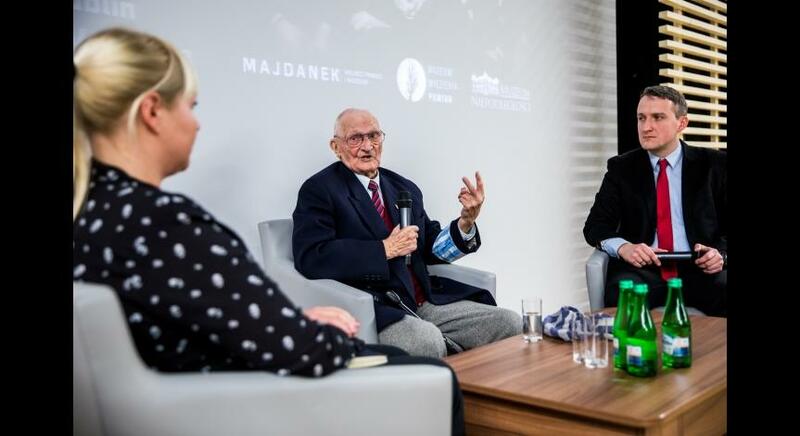 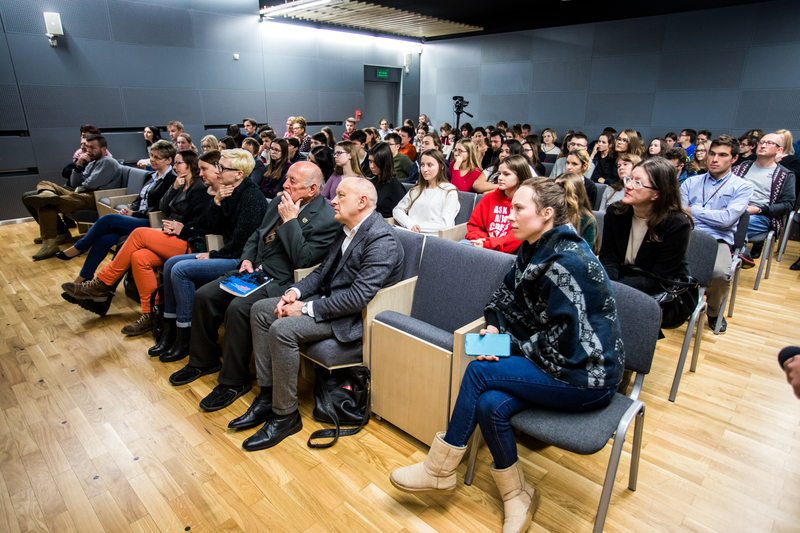 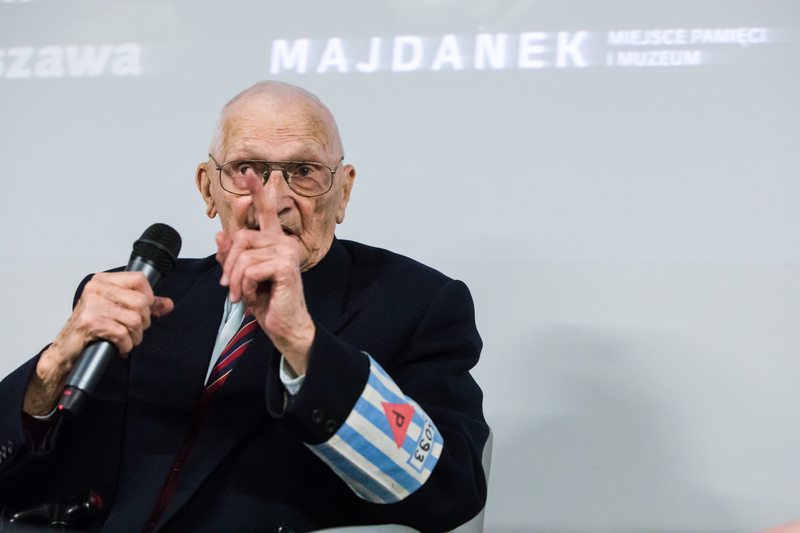 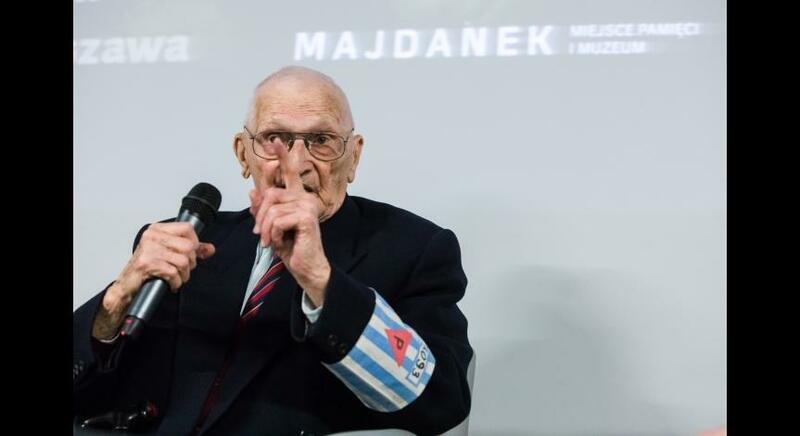 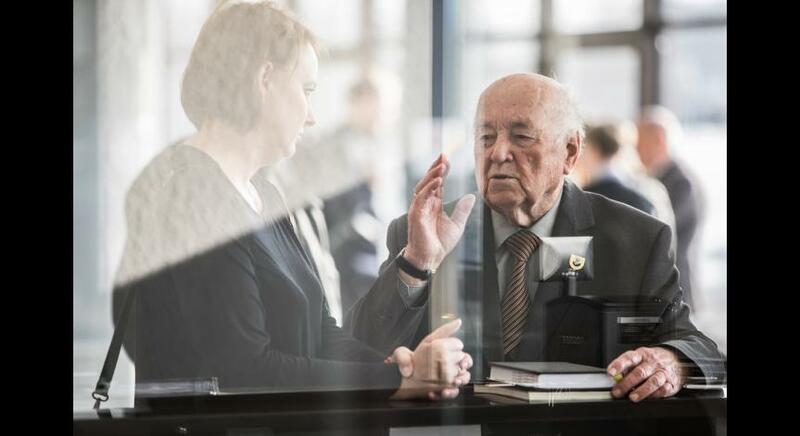 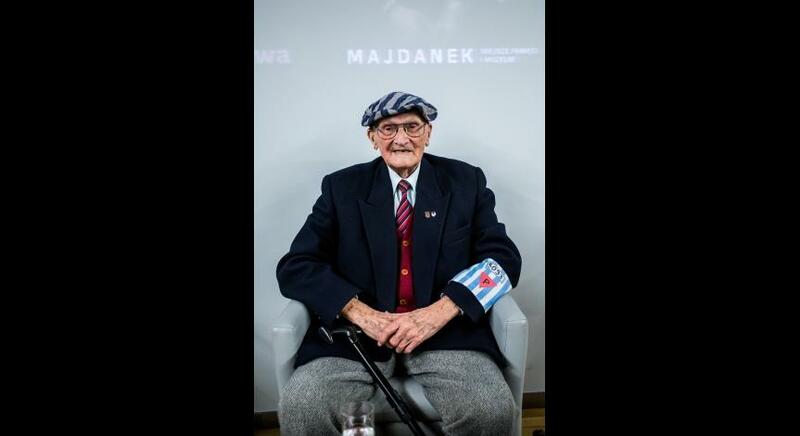 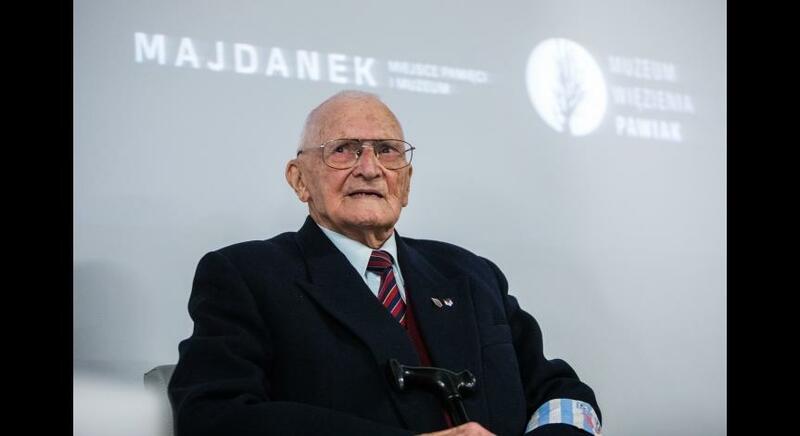 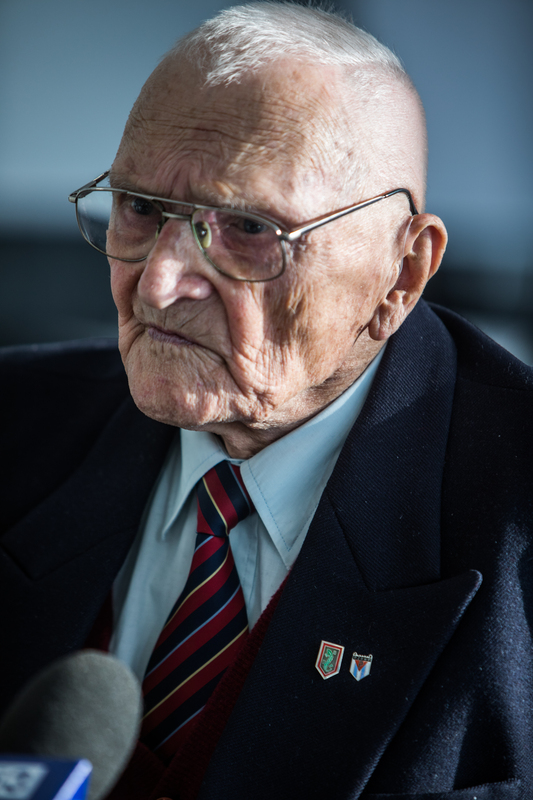 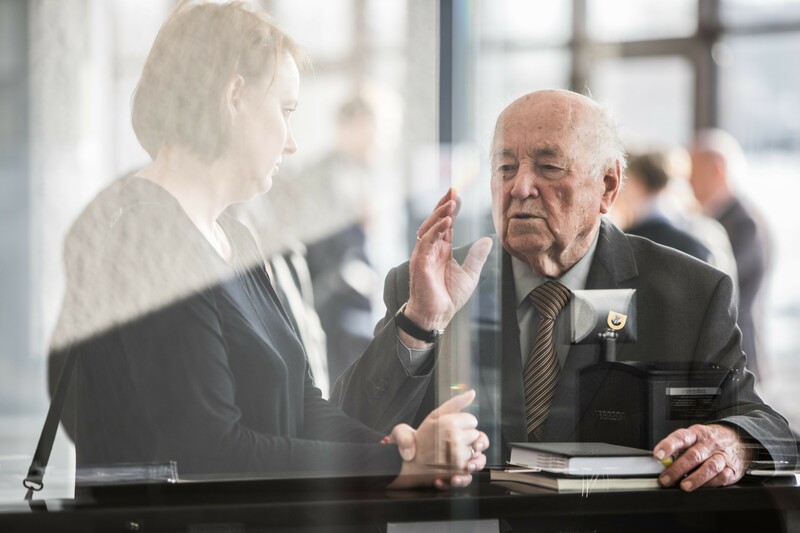 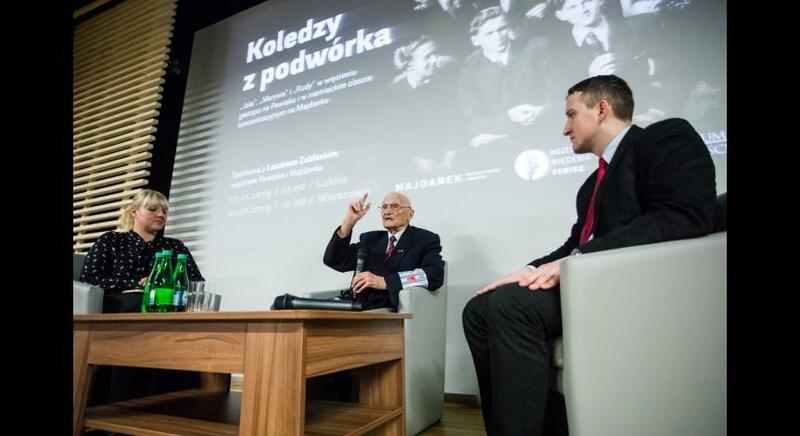 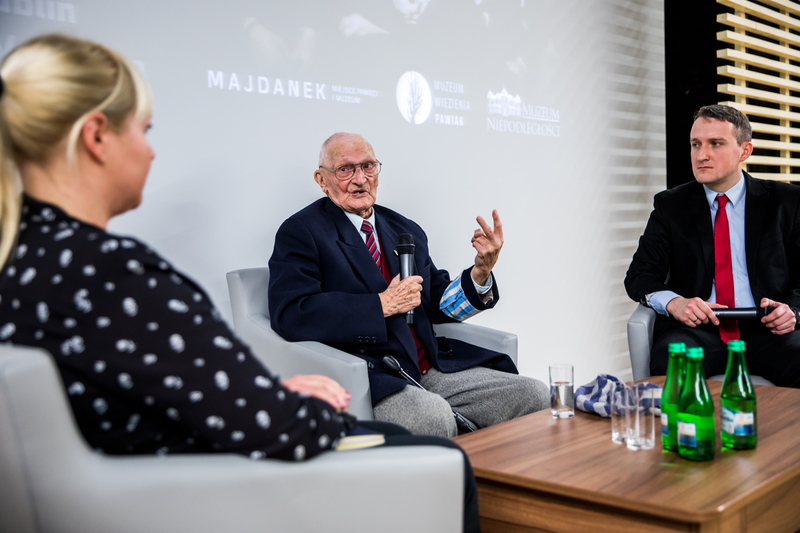 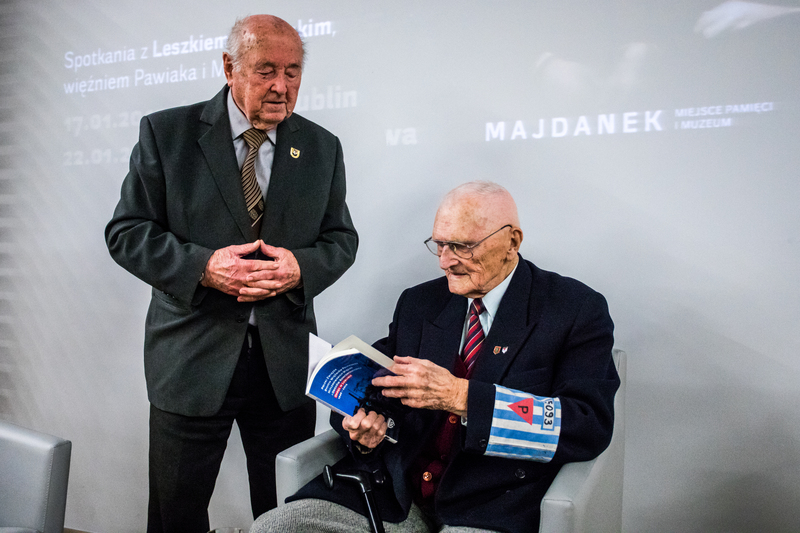 The main point of this event was an interview with Leszek Zabłocki nicknamed ‘Jola’ who came to the Majdanek camp on January 18, 1943, with a very first prisoners’ transport from Pawiak. 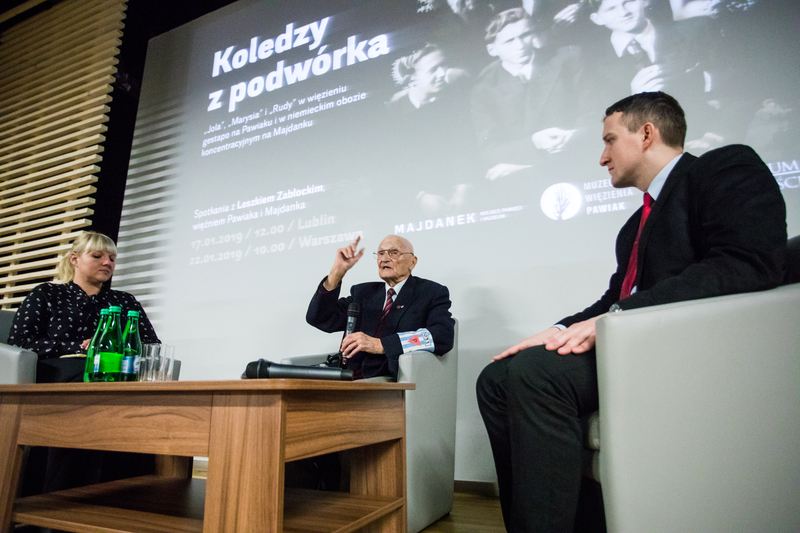 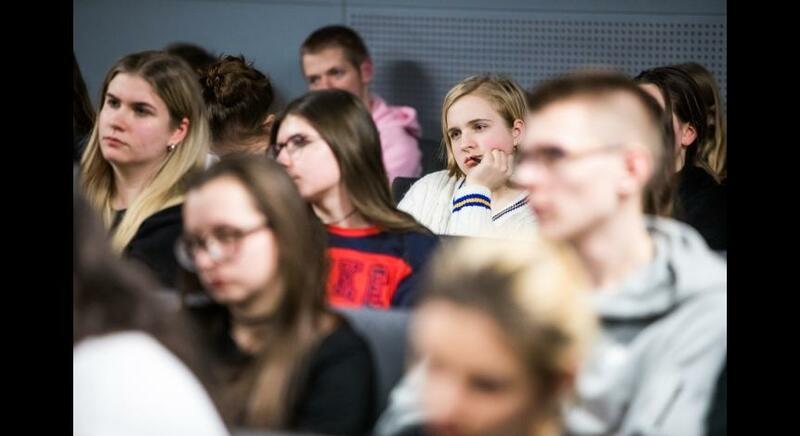 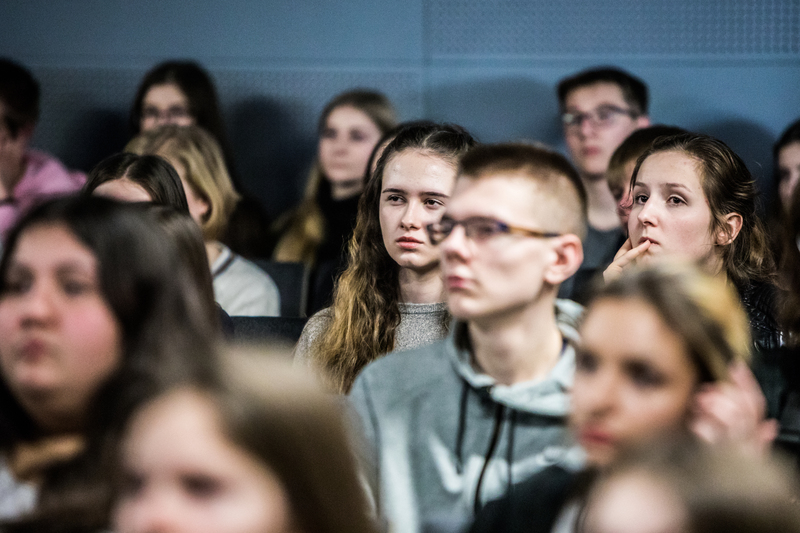 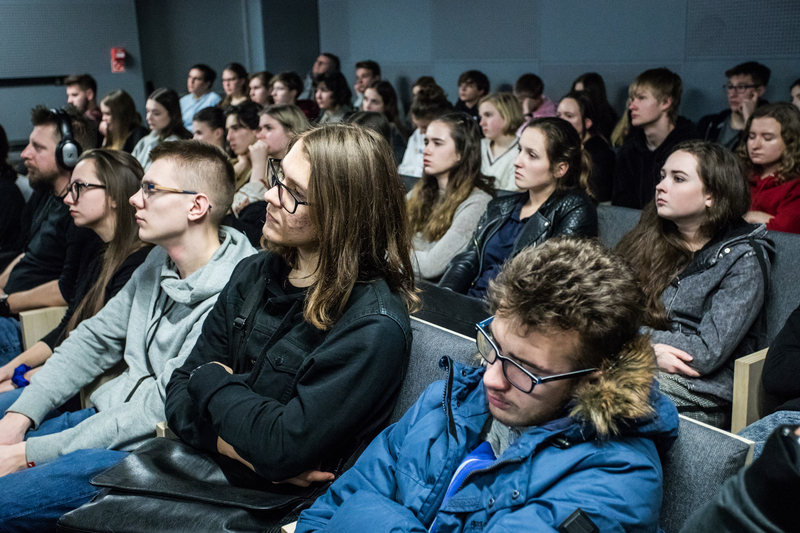 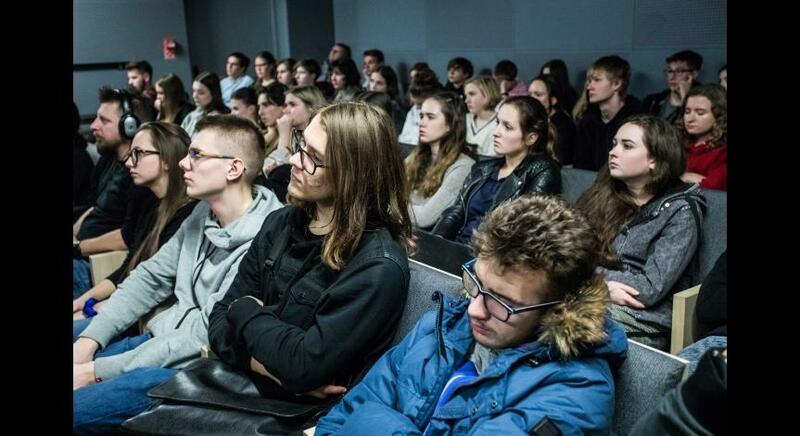 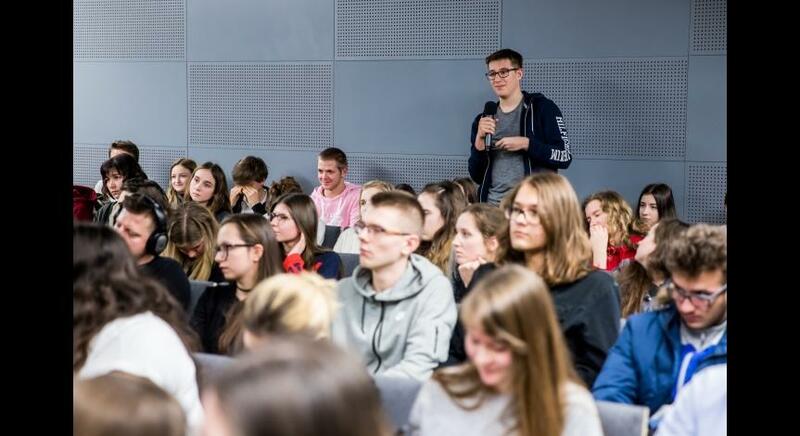 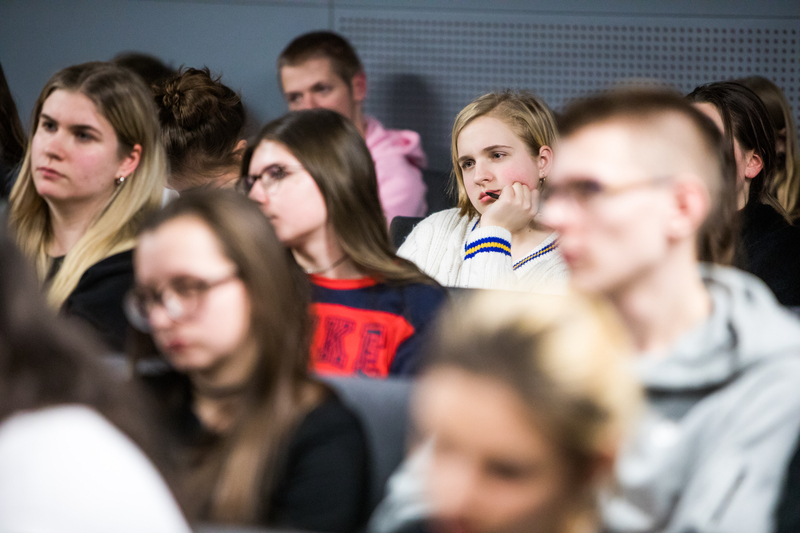 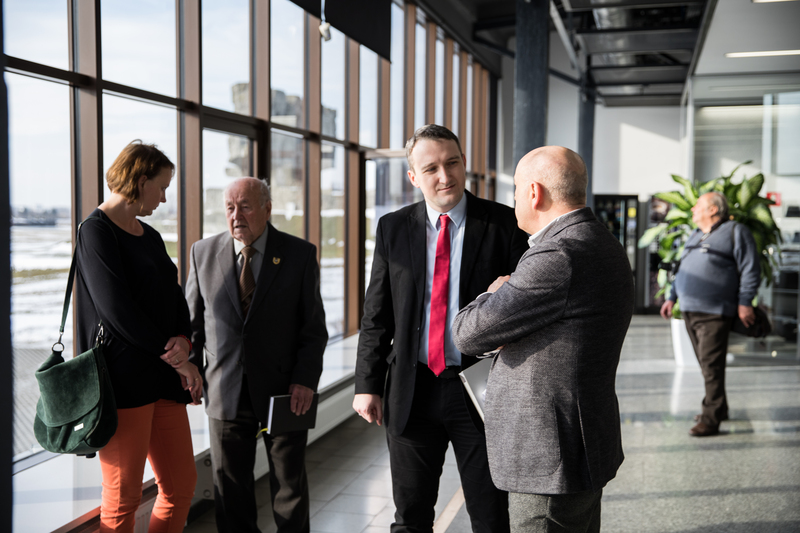 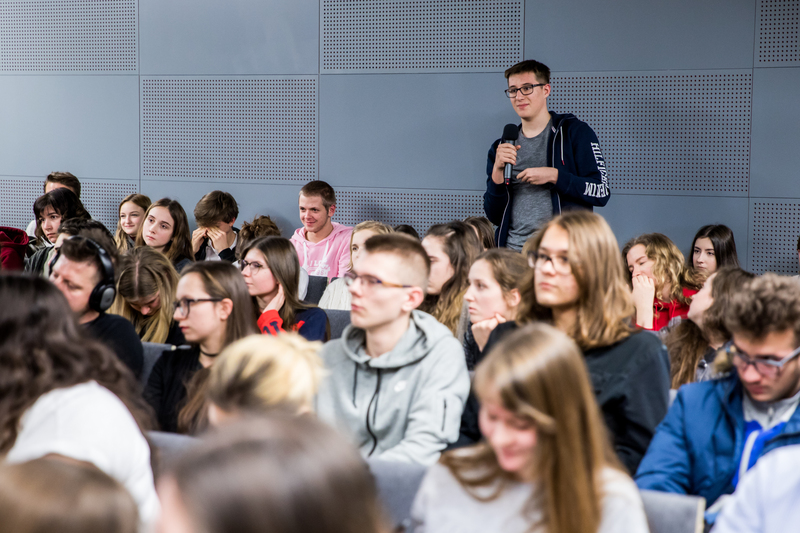 The participants of this meeting listened with interest to the stories of our guest regarding his occupational experiences as well as his fate after the war. 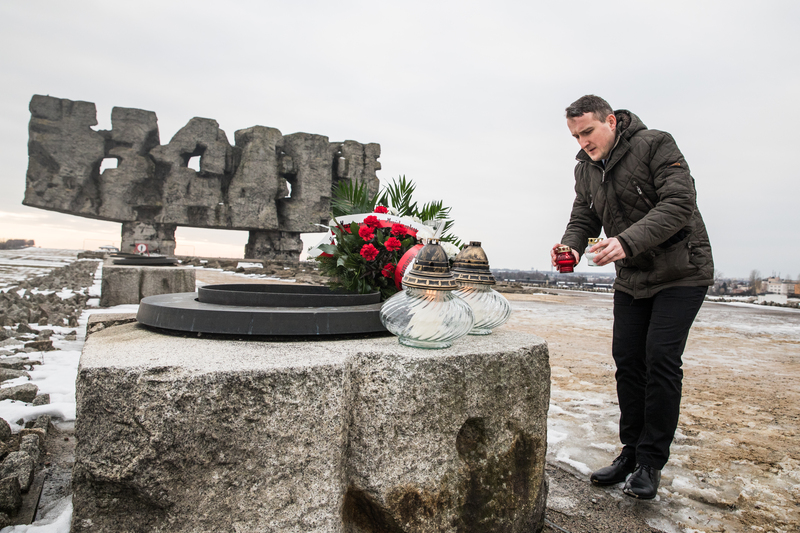 At the end of the meeting, participants put flowers and lit memory candles at Gate Monument.